According to the report, Stirpe said recent reports that Capital University was interested in acquiring the Bexley Square shopping center where the restaurant is located and converting it to campus uses helped them reach the decision to close. He said those rumors had also affected the business. 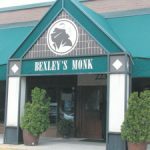 Bexley Mayor John Brennan said he was saddened by the loss of the Monk.